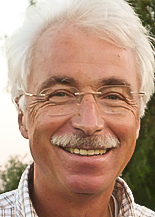 Andreas Edelmann (MD, PhD) has worked as physician with specialization in neuropathology and neuro-endocrinology in a university hospital (Bonn, Germany) prior to his 28 years long pharmaceutical research and development career at F. Hoffmann-La Roche Ltd. in Basel. During that time at Roche, he was part of drug discovery for 10 years, involved in lead profiling by pharmacological drug testing, development of predictive in-vivo and in-vitro disease models as well as biomarker identification and validation in the areas of metabolic diseases, lipid and atherosclerosis research. From discovery, he transferred to drug development focusing on regulatory tasks. Heading the GLP Quality Assurance Unit in the research laboratories of Basel for 6 years, he was in charge for all GLP related preclinical drug development aspects and transferred in 2000 to the Global Clinical QA function in Basel. Besides his routine tasks as Senior International Clinical Auditor covering the entire spectrum of clinical trials, he was for more than 12 years specifically in charge for quality oversight in specialized laboratories ranging from bio-analytical laboratories responsible for drug level and biomarker determination to histopathology laboratories determining disease identification and biomarker geno/phenotyping as well as image reading facilities (ECG, Echocardiography, Doppler/Intravascular Sonography, CT, MRI and PET scans etc.). Based on his expertise in drug research and knowing the mindset of innovative and impatient researchers, he was also in charge for collaborations with academia and less regulated research institutions to ensure that outsourced work was still meeting expectations and standards of the sponsor in regards of reliability of research results. He provided guidance and practical advice to those research institutions which are always afraid of getting entangled in bureaucratic formalism when performing regulated contract research work.